Raw dried Asparagopsis seaweed before it is refined into a feed supplement. Australia is a major producer of livestock, and livestock in Australia are responsible for around 10 per cent of the country’s overall emissions. Livestock also contribute to 60% of all emissions from the agricultural sector. As a greenhouse gas, methane is 28 times more potent than carbon dioxide (CO2) over a 100 year timeframes. To combat this issue, we’re working on multiple approaches that could provide significant reductions in greenhouse gas emissions for the agricultural sector, both in intensive and pasture-based systems. One potential solution is feeding livestock seaweed. Scientists have found that the common Australian red seaweed (Asparagopsis taxiformis and A. armata) virtually eliminates methane emissions in cattle and sheep, when it’s fed as a dietary additive in low doses. How does seaweed reduce methane? The metabolites in the seaweed disrupt the enzymes that are responsible for the cattle and sheep producing methane in the rumen (stomach). And how much seaweed is enough? Studies in cattle and sheep have shown that these results are possible when seaweed is included at 1% or less of the dry diet. The discovery was made in collaboration with Meat and Livestock Australia and James Cook University, with on-going research currently underway to understand the optimal feed mixes. The methane-busting seaweed feed could be commercialised within one-to-two years. However, wider adoption (across Australia and overseas) is dependent on establishing a new industry to farm Australian red seaweed at an industrial scale. The possibility of open line seaweed farming is being explored in Southeast Asia and elsewhere. 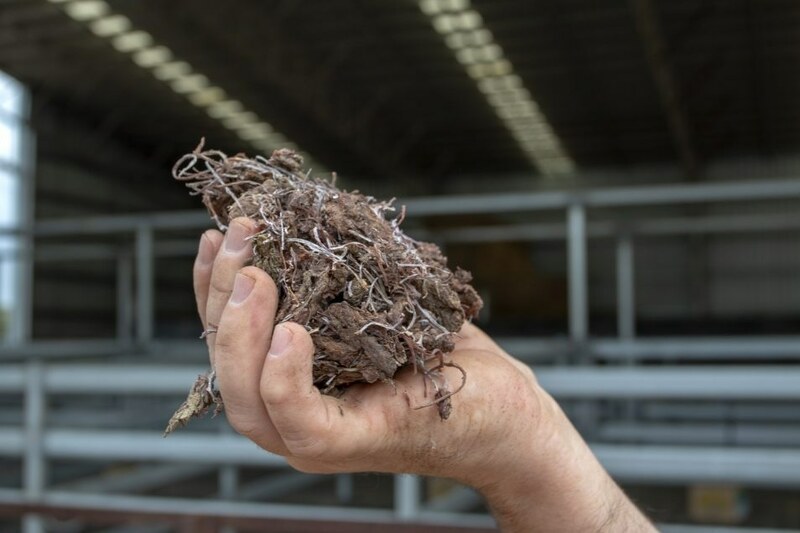 The seaweed option is very promising for cattle in feedlots (around 1 million cattle in Australia) and dairy cows (around 1.6 million in Australia). However, applying the feed supplement to cattle grazing on open pasture is logistically challenging, as cattle graze over vast areas but they have to be fed seaweed every day. There is a need to do more research into technologies that can deliver the seaweed and other methane-reducing feeds to grazed livestock systems, to create a solution for all livestock producers. To work around the logistical problems of feeding seaweed supplements, we have been studying whether the amount of methane produced by cattle decreases when they’re fed two tropical legume species: Leucaena and Desmanthus. Both plants not only reduce methane but also boost animal growth. Compounds in these plants act on the microbes in the rumen in a similar way to the Asparagopsis seaweed. However, the effect is smaller, at around a 20 per cent reduction in methane emissions. While the effect is smaller, it shouldn’t be discounted—these legumes could be planted into grazing systems now, so that they’re available to livestock in the near-term. They could feed many more of the 24 million beef cattle in Australia. A 20 per cent reduction in emissions from these plants could equate to a saving of anywhere between half a million and a million tonnes of greenhouse gases per year. That’s like taking up to 200,000 cars off the road each year. Another avenue we’re exploring is whether we can influence the microbiome (that is, the gut bacteria) of pasture-fed cattle from a young age. We hope that this will also reduce methane emissions. This research is still in its early phase, but the idea is to give cattle compounds from a young age to realign the rumen microbiome to produce less methane. The theory is that, once the microbiome is altered, the change to low methane digestion will persist, hopefully for the lifetime of the animal. The research projects are all based at our Lansdown Research Station, south of Townsville.